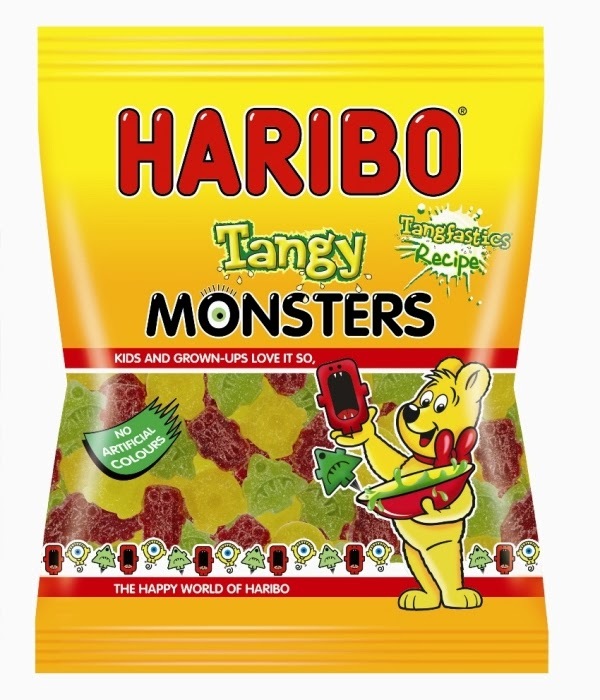 HARIBO has brewed up something magical for this spooky season; an entire range of themed treats perfect for every Halloween occasion whether that’s trick or treating, parties or something tasty for you to share with friends. This exciting range now also includes three new delicious items to keep your little beasts at bay. 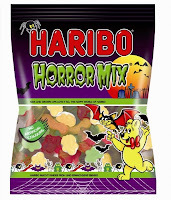 Newly crafted from HARIBO is the Trick or Treat Mega Box featuring mini bags of Horror Mix. 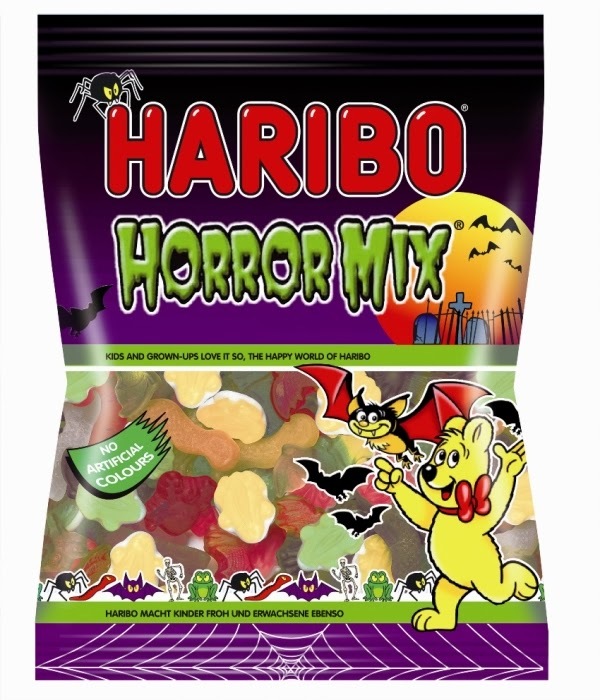 These Mega Boxes, available from Asda, contain 50 individual mini-bags of Horror Mix - spooky themed gums and jellies that create a delicious bundle of treats for all those wizards and witches that knock at your door. 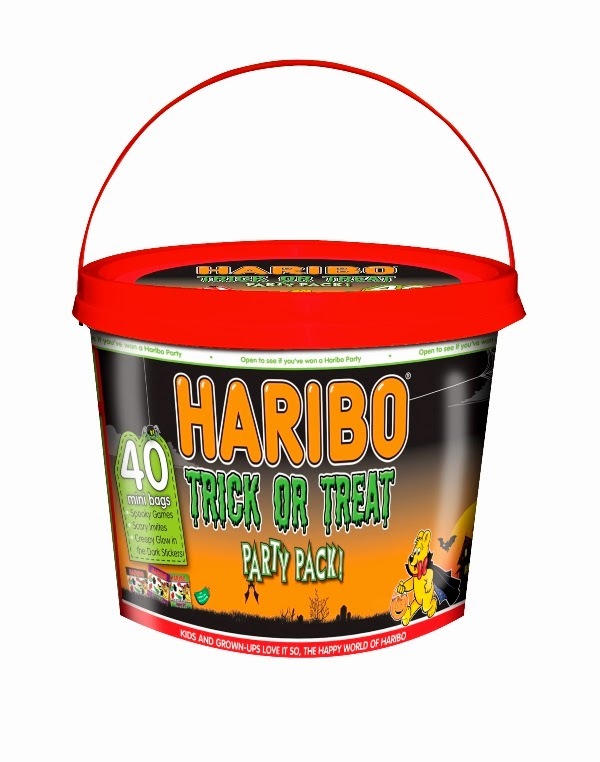 The range also includes HARIBO’s Halloween Party Bucket. Available in Tesco, this cauldron of delights contains 40 mini-bags of Halloween themed goodies. Also available in the bucket are a selection of terrifying extras that will get any Halloween party started. These include a suggestion of scary games, petrifying glow-in-the-dark stickers and a medley of bloodcurdling invites. 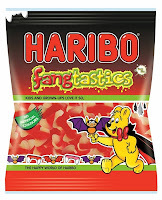 HARIBO have also created something completely new for you and your friends to sink your teeth into - Fangtastics. 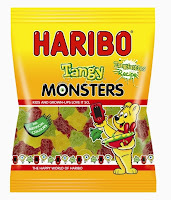 Available in 200g sharing bags from Tesco, Fangtastics have that same great ‘tang’ flavour found in Tangfastics, but this time with a bit more bite! Also great for parties, this themed pack is perfect to tip into bowls for sharing. 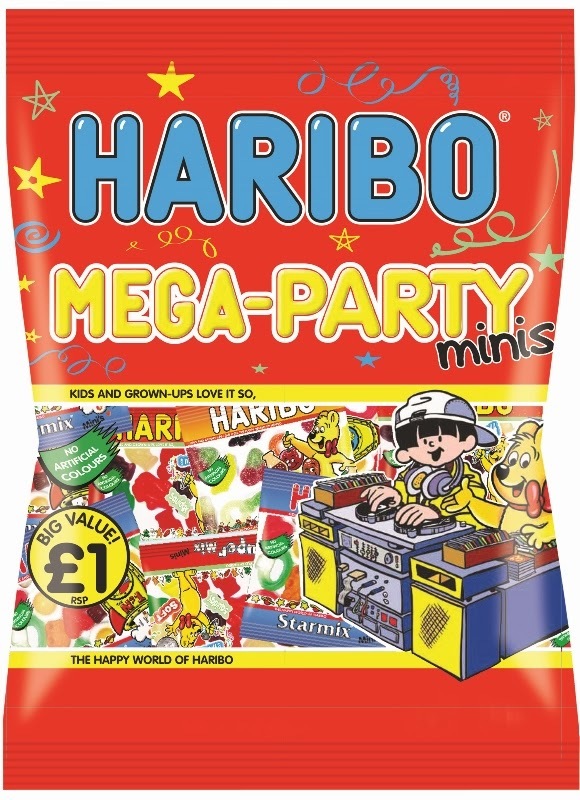 You can also look out for HARIBO’s top selling products including Party Mix, which contains mini bags, or the suitably themed Trick or Treat Mini Mix – both great for your trick or treaters. 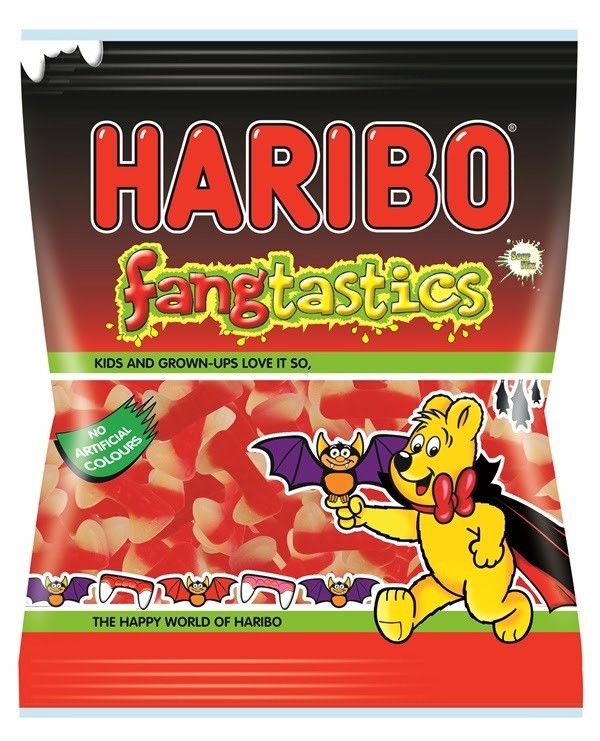 Visit HARIBO Halloween for a taste of HARIBO’s full range of Halloween treats where you can also download a special HARIBO Halloween kit, featuring decorations, masks and games. Here at Mummy Of 3 Diaries we love HARIBO, it's our all time favourite treat. We love the facts that they come in handy mini packets which are perfect for little treats when the children deserve one. 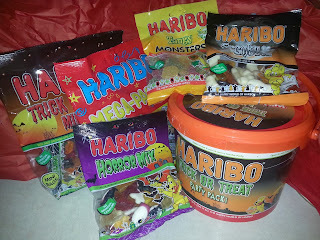 My little man Ryan was amazed when these HARIBO Halloween goodies arrived this week, to say he was a bit excited would be an understatement. 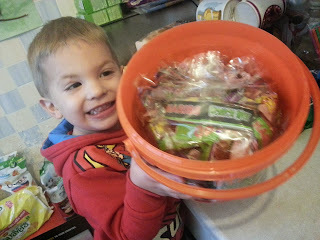 He wasn't as happy when I told him that he would have to share them with his big sisters and the Trick Or Treaters. 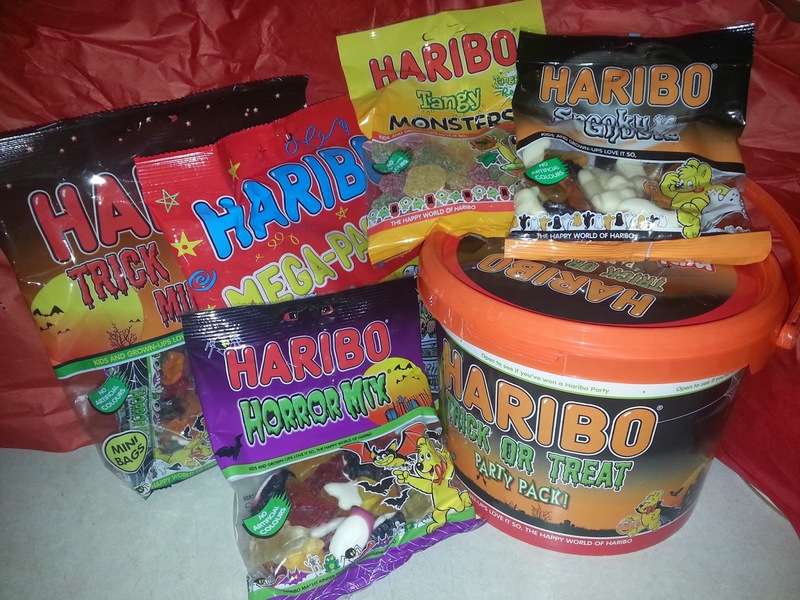 The lovely people over at HARIBO sent us all these delicious Halloween goodies to try for the purpose of this review and we're happy to say that they all taste delicious just like we knew they would. I can't wait to see the look on the Trick Or Treaters faces when they knock at our door this Halloween, they will be getting some lovely treats this year.